The Lady Blunt Stradivarius violin hit the headlines in June 2011, after it was auctioned at a world record price of US$16 million, almost four times the value of the previous world record violins. However, the Lady Blunt Stradivarius was being sold for a major cause – to raise funds for Japan’s relief efforts for the March 11 tsunami and earthquake disaster. The Lady Blunt is one of the most prized asset of all Stradivari‘s violins. The 1721 violin has been well-preserved for nearly three-decades. 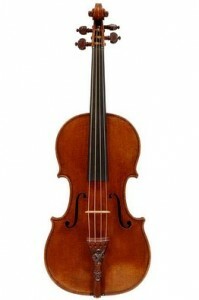 Another Stradivarius which attained similar prestige is the Messiah Stradivarius of 1716. Both violins, though have changed its owners several times over the years, have not been commonly played and performed by violinists. The violin was named after Lady Anne Blunt, the granddaughter of the famous poet Byron. Nippon Music Foundation, the original owner of The Lady Blunt Stradivarius first bought the famous violin in 2008 for US$10 million in a private transaction. Its US$16 million price tag is 4 times the price of the previous record holder, a US$3.6 million Molitor Stradivarius sold in a 2010.